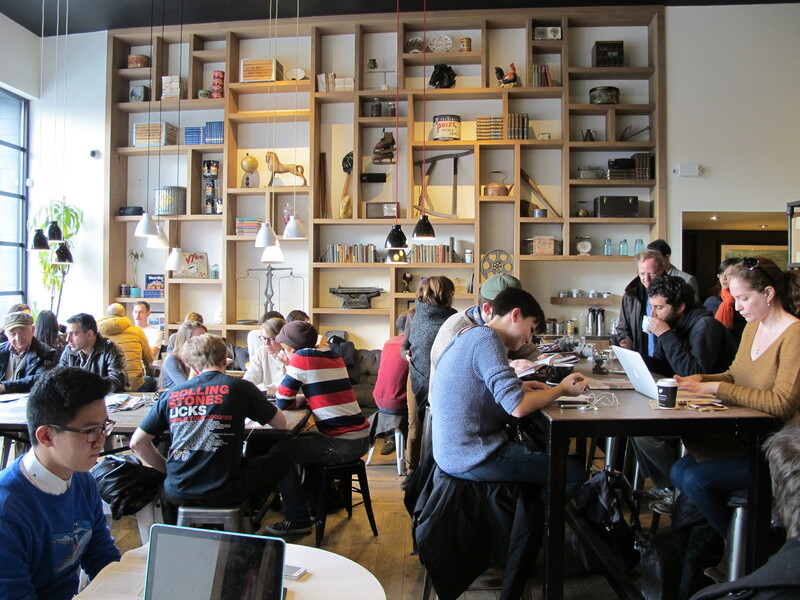 A Guide to New York’s Least Pretentious Coffee Shops. | A Continuous Lean. When it comes to a quality cup of coffee, we’ll admit that New York City has been traditionally late to the game. Unlike our West Coast counterparts, who have always been armed with a more acute understanding of how beans and brews work; we don’t have a long history of destination coffee shops, and rare roasts. It’s not that coffee has not played a significant role in daily life here in New York, rather it’s that coffee has been historically been known as more a functional fuel, rather than a culinary pursuit. Like gas to a car, coffee has literally powered New York for as long as anyone can remember, but until the past couple decades, there hasn’t been a very visible coffee culture here in the city. 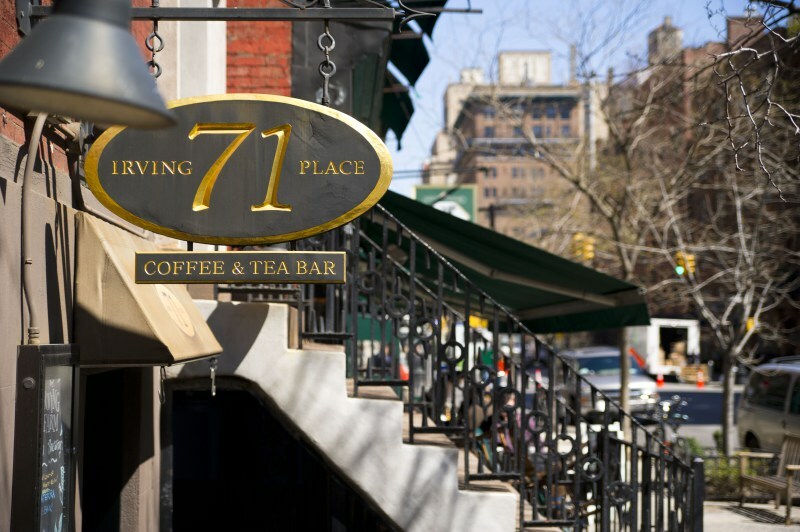 All that began to change with the inescapable onslaught of Starbucks, followed shortly by the steady rise of independent coffee shops which has now propelled New York into an age where you could quite literally step outside your front door and find a great cup of coffee just a few blocks away. Unfortunately, the by-product of this dark-roasted, slow-pressed, high-ticket coffee mania has been the ever-present sense of pretension that surrounds New York coffee. 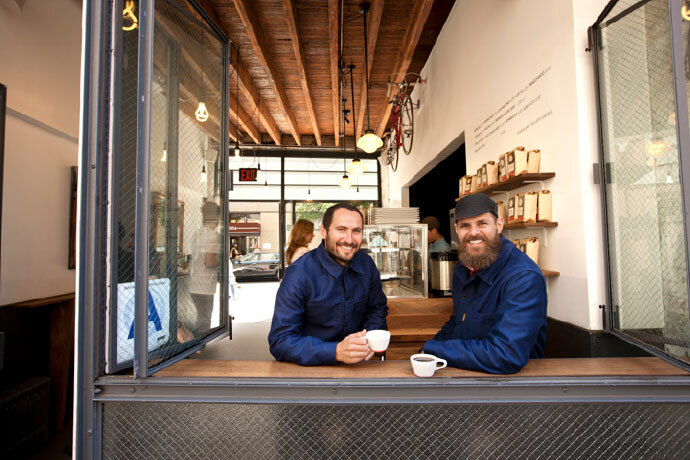 Snobbery abounds on both sides of the counter in many of New York’s most popular shops, and so for all of you that enjoy a great cup coffee with a splash of milk not arrogance, we give you the five least pretentious quality coffee shops in New York. It’s a shame a list like this would even need to exist. 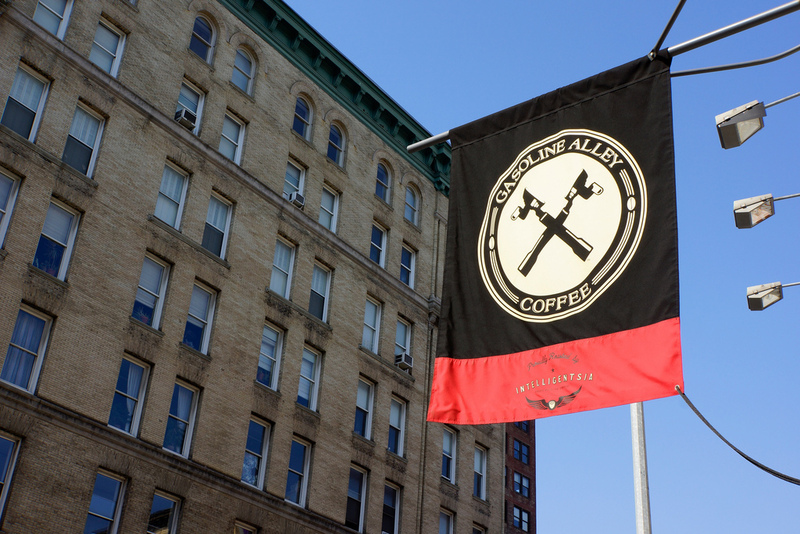 Gasoline Alley – Located on Lafayette just north of SoHo, Gasoline Alley is the definition of small and mighty. 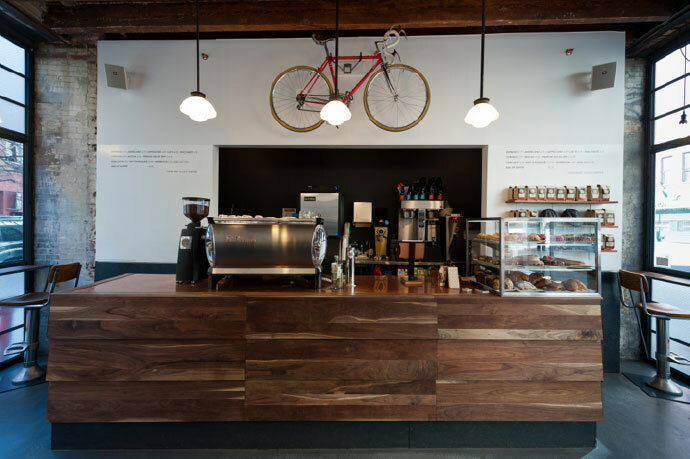 The pint-sized shop features Intelligentsia coffee, Dough donuts, and an airy, minimal design. Best of all, despite its central location, it’s rarely busy, and if it is the staff is efficient and friendly. It’s the anti-Gimmie Coffee. On top of all of that, it’s one of the more affordable cups of coffee in the city. 331 Lafayette St. Ports – Founded in 2011 as an answer to all the unapproachable shops in the area, Chelsea’s Ports serves up Heart coffee in an open, comfortable space. While they do serve up your standard pastries and snacks, the Ports’ focus is clearly on coffee, as evidenced by their meticulous brews and tasting flights. 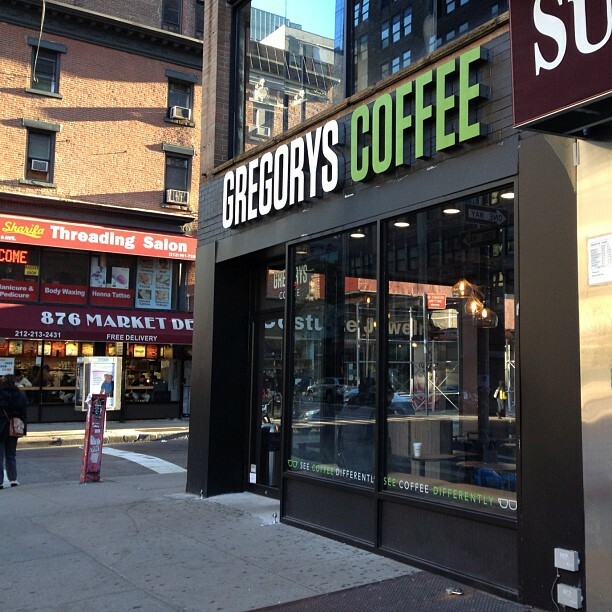 251 W. 23rd St.
Toby’s Estate – In the heart of this city’s most easily satirized neighborhood lays Toby’s Estate, an Australian import which brews up a serious cup of coffee. The mammoth space packs both a modernist seating area up front and a roastery in the back, making it an all-inclusive emporium for all things coffee related. Its proximity to Gentry is not overlooked either. 125 North 6th St.
Nice list. I think Porto Rico is also a nice coffee spot, although they don’t offer seating in their shops. Cafe Ghia’s in Bushwick. The plain black iced coffee is amazing. Nolita Mart on Mott St. is incredible and has some of the nicest staff around. Good to know. In addition, a list of the MOST pretentious coffee shops would be a really fun read. Jack’s! I must speak up for Jack’s in the West Village. Their stir-brewed coffee makes a truly excellent au lait. Least pretentious? There’s no Formica in any of them. Has Cafe Grumpy lost a step after expanding beyond Chelsea? I love a cup of Heartbreaker when I can get it. Perhaps the list is supposed to be the least pretentious of the pretentious coffee shops. What about the 7-11 on the Bowery? Such a treat. I thought the whole point of this website was pretentious? address. Maybe home address too. Their not savvy with tech, but they get great local foot traffic + following. I love that this was written. Thanks, Michael, for writing it up, and so glad Gasoline Alley is on the list! Jake wrote it. Gasoline Alley is my spot though. Seriously, echoing @kiya, Coffee Foundry is missing from this list. Cafe Regular du Nord in Park Slope is great. Honestly, I liked coffee better in the 90s [ducks for cover]. I don’t like light roasts, and I fundamentally don’t believe that anything you can do to a coffee bean can make it worth $5 a cup (for black coffee). I do, however, appreciate places like Handsome in LA that have minimalist menus. I hate when the line is out the door because all the soccer moms need a medium iced half-caff hazelnut cappucino with light whip, carmel drizzle and 3 splendas mixed into the shot while it’s hot please oh and in a large cup. Midtown’s abundance of Starbucks allows many in-the-know to hit up Culture (38th St, just off 6th Ave) to have superlative coffee (from Heart Roasters), house-baked chocolate chip cookies, etc., all served without pretension by a nice group. 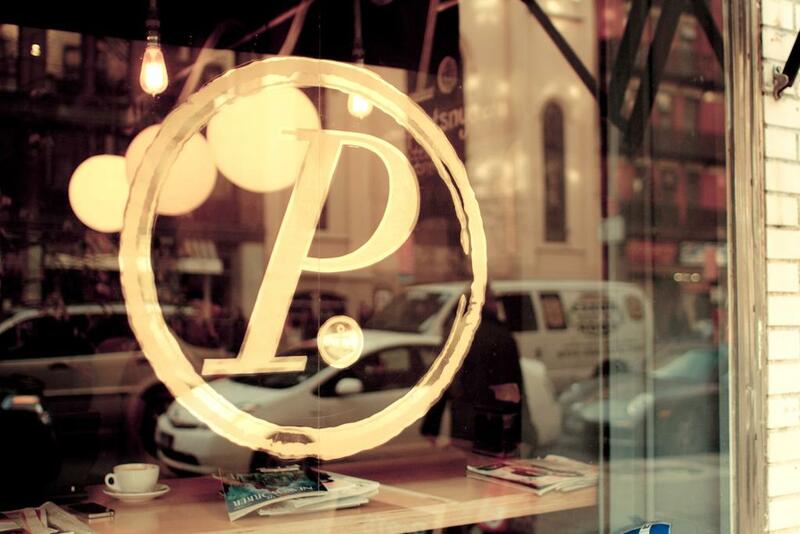 Pennylane (45th St east of 2nd Ave) in midtown is due mention, as is Lucid Coffee (37th St & Lex). A newcomer, Perk Kafe (37th between 3rd & Lex) has a strong brew and good seating. And they has Television’s Marquee Moon playing recently. Second for culture on 38th. Great spot in a food/coffee desert. Underdog vote for Empire coffee roasters on 8th at 41st street. It’s the least pretentious real coffee shop I’ve ever been to. It’s less than a block from port authority for “authenticity” points. King’s Coffee in Carroll Gardens/Columbia Waterfront. A bit expensive ($4/cup), but it’s in a garage, so it wins. Or at least wins a mention.